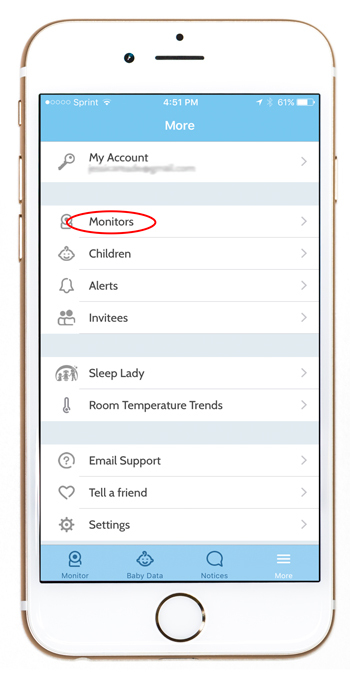 One of the best things about the Evoz Smart Baby Monitor is that setup is so easy – and after our recent update, even easier! 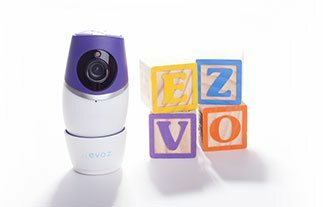 Whether you’re traveling, taking advantage of a little grandma babysitting, or just going over to a friend’s house: if there’s a WiFi network, your Evoz Smart Baby Monitor can come with you. Let baby nap in a separate room while you enjoy some adult time! 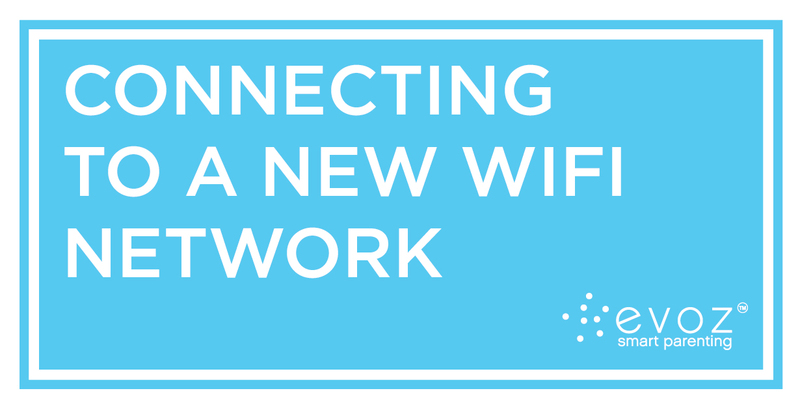 Here’s how to connect your Evoz monitor to a new WiFi network. When you’re packing, bring along your Evoz monitor and your iOS or Android device(s). (If you have two devices, you might want to pack them both – see our NOTE in Step 2 below.) Make sure to pack your electronics safely away from any liquids or other items that may leak – and don’t forget power cords and chargers! 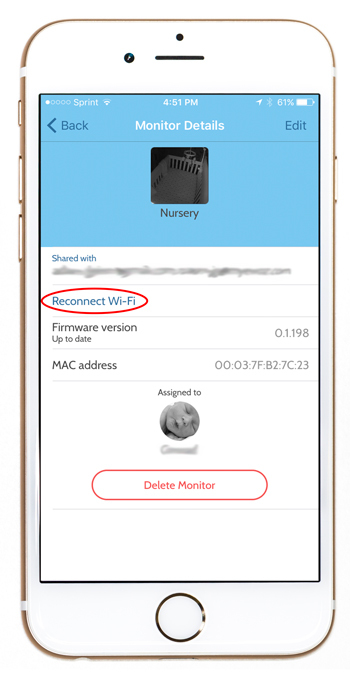 Find a good location for your smart baby monitor and plug it into a power source. Wait until the light on the monitor blinks green. Launch the Evoz app, navigate to the More tab (iOS) or app menu (Android), then choose Monitors. Select the monitor you want to connect to. Step 1: Enter your WiFi Password in the “Confirm your Wi-Fi Password” field, then tap Next. Step 2: Your device will display a QR code. Show the QR code to the monitor. When the monitor successfully reads the QR code, it will make a noise and display a flashing blue light. A steady blue light indicates that your Evoz monitor is connected to the new WiFi network and ready for use. If you unplug the monitor, it will take about a minute for it to reconnect to the WiFi network after you plug it in again. The monitor retains the names and passwords of the WiFi networks you have connected it to, so when you get home you don’t need to repeat these steps. 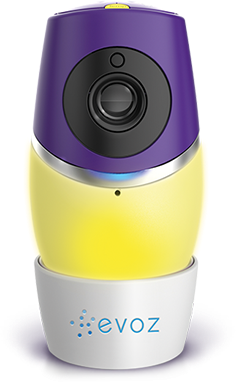 Simply plug in the Evoz Smart Baby Monitor as usual and wait for the steady blue light. My monitor constantly pauses making the monitor completely useless! It is the most frustrating issue, I am connected to WiFi, and everything else on my phone works perfectly so I have no idea why it keeps timing out. The monitor itself is still connected but the image and sound freezes. Is there a resolution to this issue or do I just get myself a completely new monitor?